Rear camera: Primary 24MP, f/1.7 aperture; phase detection autofocus. Secondary 8MP, f/2.4 aperture, fixed focus, 12mm ultrawide. Third 10MP, f/2.4 aperture, autofocus, 2x optical zoom telephoto. Fourth 5MP, f/2.2 aperture, depth sensing only. LED flash. 2160p/30fps video recording. Memory: 6GB/8GB (market dependant) of RAM, 128GB of storage; dedicated microSD slot for expansion. But, putting the number game aside, the natural question on everybody’s mind is whether all this camera hardware complexity is even necessary or particularly beneficial? After all, one of the widely-regarded top cameraphones of the day, the Google Pixel 2 puts most competitors to shame with a single main camera. And Google feels confident enough in its ongoing software-assisted camera development path to only put a single camera on the new Pixel 3duo, as well. Naturally, there is a valid argument to be made about a purely software approach to things, as well as an increasingly hardware-backed one. And looking at the overall smartphone scene in 2018, it’s hard to say which way the tides are blowing. Manufacturers are still experimenting with various approaches. Since that is the case, there is really no reason to instantly fault Samsung and the Galaxy A9 (2018), purely on the grounds of camera count. Instead, it might just be a great experiment, that could shed some light on the future of mobile camera hardware. After all, the Galaxy A family has, in a way, built a solid reputation for being a “playground”, of sorts, for new Samsung features and ideas. Plus, even if a quad-camera setup turns out to be less than ideal, who better to deal with the consequences than the Korean smartphone titan. Few have the resources and capacity to experiment and gamble at quite this scale. And, without risks, there really can’t be any progress. 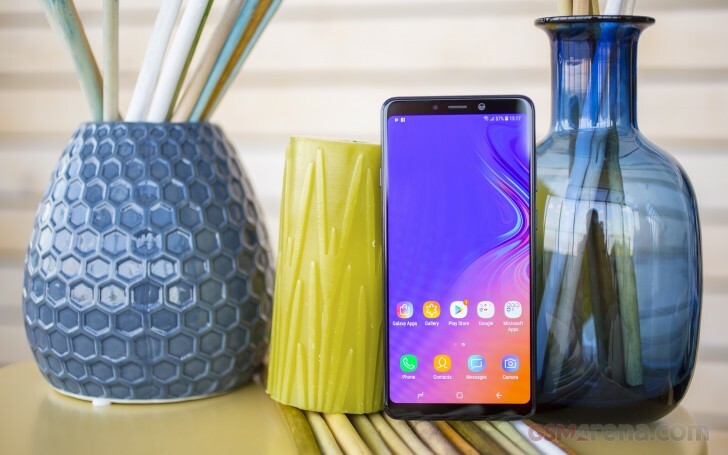 So, going in with an open mindset, we had the change to spend some hands-on time with the new Galaxy A9 (2018). Before we can properly put it through its paces for a full review, join us on the following pages, for some preliminary impressions and, of course, a few camera samples.